Atchison Express Lube and Tow is a proud supporter of the Benedictine College Ravens! 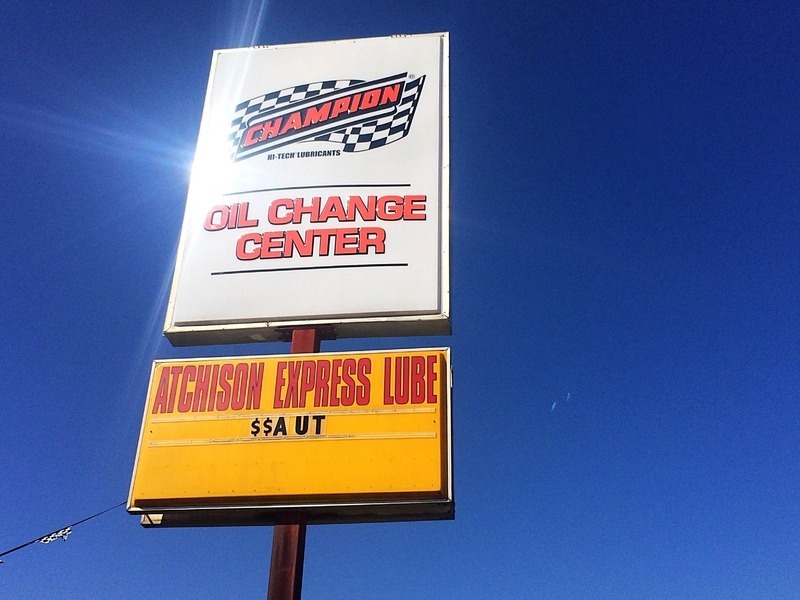 Atchison Express Lube is a no appointment necessary – full service, fast oil change facility, and a complete auto repair facility that you can trust. Brakes, AC, transmissions, engines, all of it! At Express Lube, we provide more than just an oil change. Our premium service oil change is a comprehensive preventive maintenance insepction which helps maintain the performance and health of your car. In order to properly maintain your vehicle, Express Lube suggests an oil change and preventive maintenance insepction every 3,000 miles, or 3 months, whichever comes first. We use a synthetic blend motor oil at Express Lube. We also carry a complete line of Royal Purple synthetic motor oil. We understand your schedule may not permit you to spend an afternoon waiting for your vehicle to be serviced. At Express Lube, we strive to complete each premium service oil change in a timely manner, allowing you to spend time doing the things you enjoy.